Last Friday, I visited Bennington Lordship in Hertfordshire. My original plan had been the RHS London Plant and Potato Fair, but on the day could not face the journey and the inevitable crush. 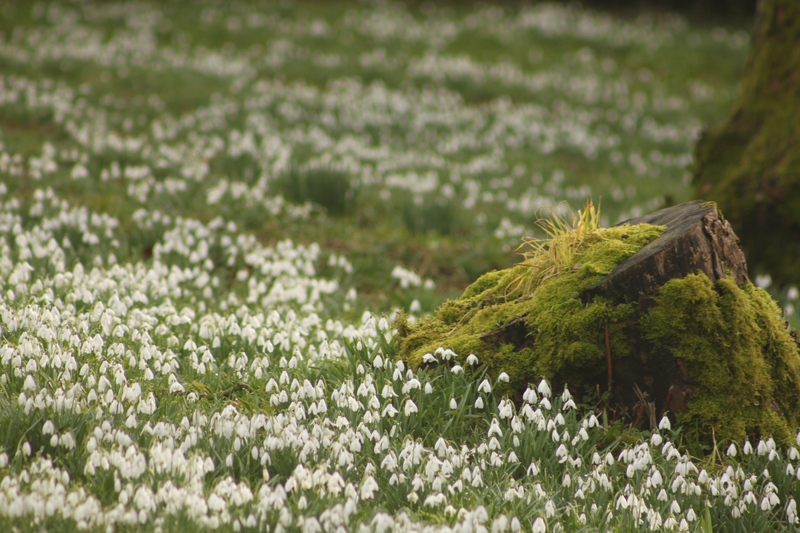 The forecast for heavy rain had changed to dry and although a weak and watery sun barely broke through the low clouds all day, searching for snowdrops proved to be the best decision. Bennington is a picturesque small village in Hertfordshire 30 miles outside of London. Bennington Lordship the name given to the manor house, Lordship a reference to the village origins in Saxon times. 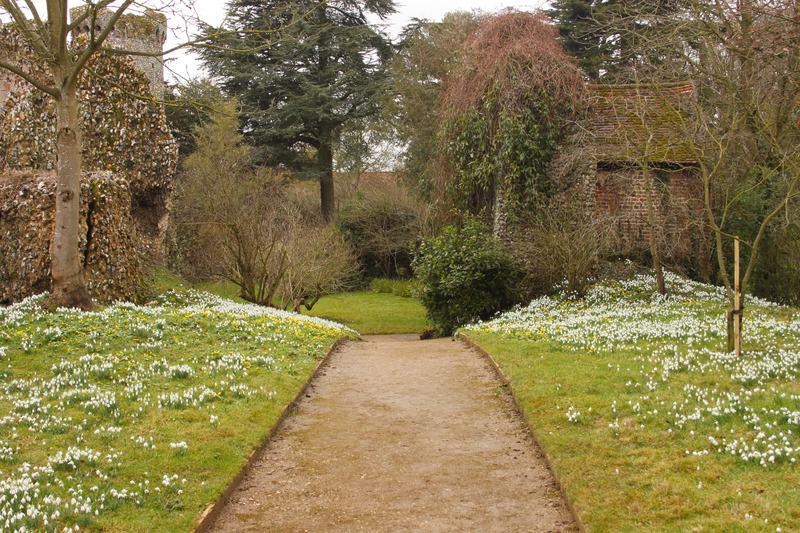 The estate is a seven acre garden, which opens occasionally and during Snowdrop time they are open daily from 12 – 4 until March 1st. Entry £5.00. Guided walks Monday and Wednesday for £1.00. A tea shop serving soup and hot drinks and a good pub in the village. I do not really understand the fuss about Snowdrops and much prefer Crocus as an early spring flower. Except that on a cloudy day they look like colourful Candle Snuff. As I write, there is a Galanthus plicatus ‘Golden Fleece’ snowdrop for sale on ebay due to finish at 23 Feb, 2015 21:09:26 GMT, currently the bid stands at £1,330 for one bulb. Its described as the first fully pterugiform yellow snowdrop which took Joe Sharman 10 years to create. It is lovely but wow that is a lot of money, I would rather a whole drift of Galanthus nivalis. 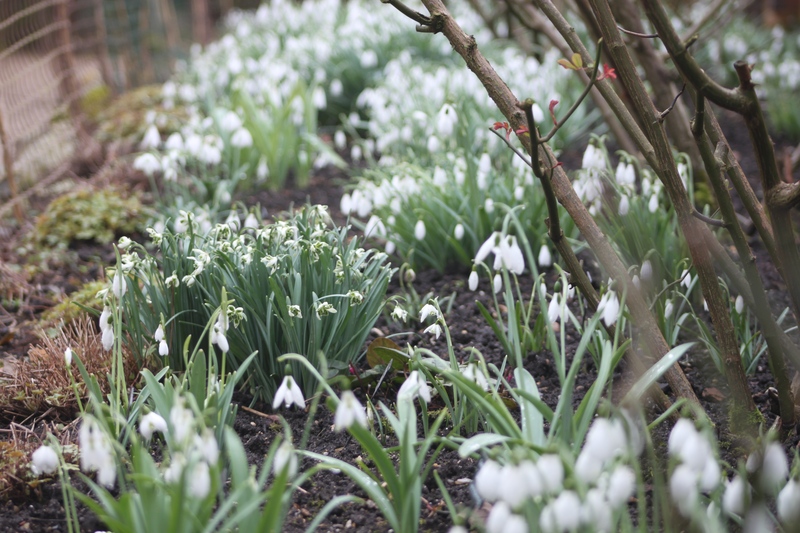 There are over 200 varieties of Snowdrop in the garden and I was very fortunate whilst there to find the Head Gardener Richard Webb, I confessed I did not get the passion folk have for snowdrops and had visited his garden to try and understand more. Richard was very knowledgable and generous with his time, I left with a kindling interest and I had fallen for Blewberry Tart, a double that opens head up, a little like a crocus! 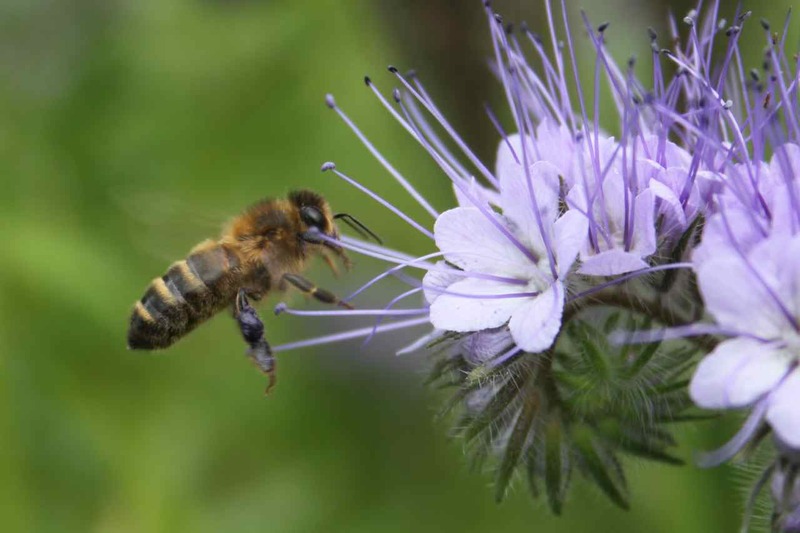 The charming gardens include herbaceous borders, a walled Kitchen Garden, an Orchard and huge pond. Richard recommended a late May/June visit in particular to see the herbaceous borders. 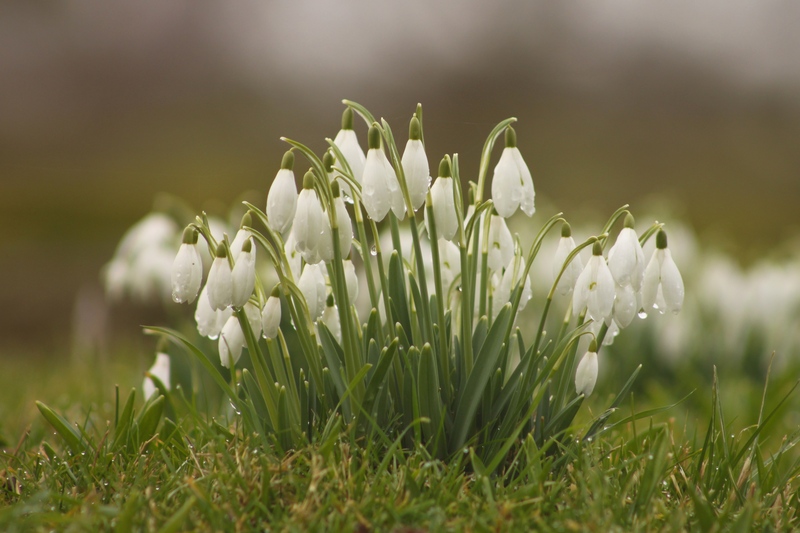 I have included Benington Lordships’s link to their snowdrop page and recommend a visit, even if like me you don’t quite get what its all about!